The Phillies optioned reliever Edubray Ramos to triple-A Lehigh Valley and recalled Ricardo Pinto, the club announced on Monday. At just 24, Ramos still has the potential to build a future in the Phillies bullpen. He's not arbitration eligible until 2020 and has great stuff when he's on, however, control has been a major issue. He failed to throw strikes as often as he did last year, particularly with his fastball and slider. Righty Ricardo Pinto takes Ramos' spot on the 25-man roster. Pinto was with the big league club earlier this year, tossing two innings against the Marlins on May 31st surrendering four runs on six hits and three walks. In 15 games at Lehigh Valley he tossed 53 1/3 innings while pitching to a 4.39 ERA. He made eight starts and seven relief appearances. 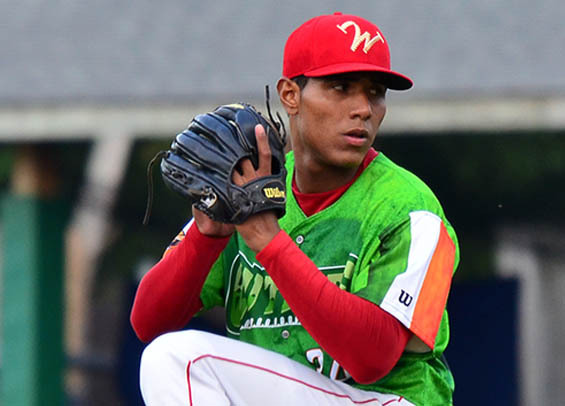 Pinto received the Paul Owens Award for the top pitcher in the Phillies farm system following the 2015 season when he went 15-4 with a 2.97 ERA while splitting time between Clearwater and Lakewood. Pinto's fastball often sits in the low 90s and is complimented by an above average changeup. At this point in his career - and considering the lack of a quality third pitch, it looks as if the Phillies are transitioning him to be an arm out of the bullpen rather than a starter.